Shade plants grow well under two conditions. Firstly, the climate has to be warm and humid enough. Secondly, shade plants must avoid too much sunshine. The climate in Xishuangbanna provides favorable conditions for growth of shade plants as there are a lot of trees in tropical rainforests that only about 5% of sunshine can reach the ground. 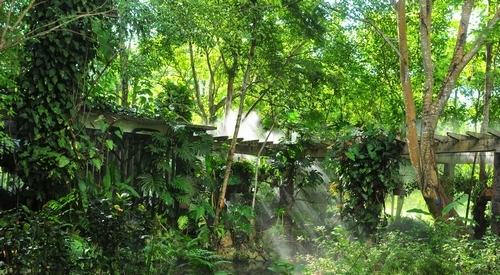 Besides, tropical rain forests are generally hot and humid. Therefore, a lot of shade plants can be seen here. 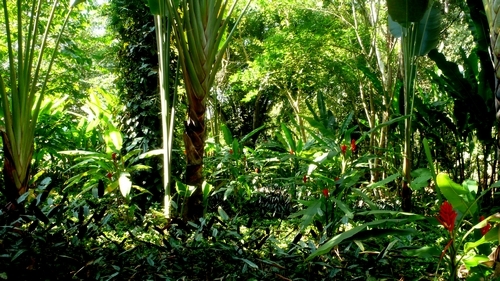 The Shade Plant Garden has an area of one hectare. 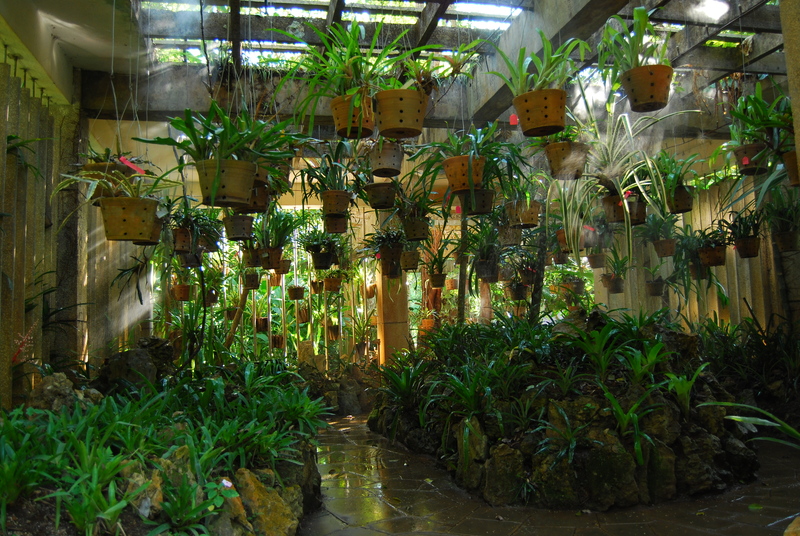 There are altogether more than 600 species, including tropical orchid species, gingers, aroids, bromeliads, ferns, etc. Some plants grow on ground and some on trunks, branches or even on leaves. They look exactly like a “natural garden in the air”. In the garden one can see Spiny Tree Fern which is the class A plant under the protection of the state government, Staghorn fern and bird-nest fern which are the class B plants under national protection as well as Tacca chantreri.